You can sponsor a horse for as little as $50 a month! Sponsor a horse and help Medicine Horse Program provide a much needed service. The horses at Medicine Horse Program provide invaluable services to our clients and community. Sponsoring a horse is your opportunity to give back to the horses who give so much, and be part of a core team of people contributing to horse wellbeing. Sponsors are a very important and welcome part of the Medicine Horse Program community. Sponsors who give at least $50 per month for one full year get special visiting opportunities so that you can get to know and love your sponsored horse. Please note that in order to become a horse’s sponsor, we ask that you commit to at least 12 months sponsorship. If you cannot do this, you are welcome to make a one-time or monthly donation. Medicine Horse Program has two rescue mustangs called Dakota and Milagro. Believed to be half brothers, Dakota and Milagro came to use as ungentled, untouched, 3 year old stallions. They have been gentled, and are currently in the process of further training in preparation for backing. By sponsoring one or both of our rescue horses, you will be helping us continue their education, training, and healthcare. You will also be helping us save funds so that we can rescue more mustangs in need. Frankie is named for Frank Sinatra and when you see his starling blue eyes you'll see why. 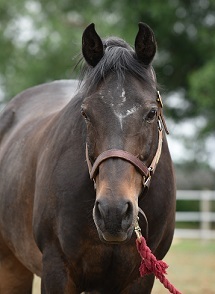 Frankie is a gypsy pony who was donated as a young colt to our program. Gypsy ponies are draft ponies, bred for pulling carts. Frankie's long mane begs to to be braided and he rarely complains about the extra attention. You must check out his smile; he lets his bottom lip hang down and it looks so silly. He is solid, friendly, calm, and has a great sense of humor! 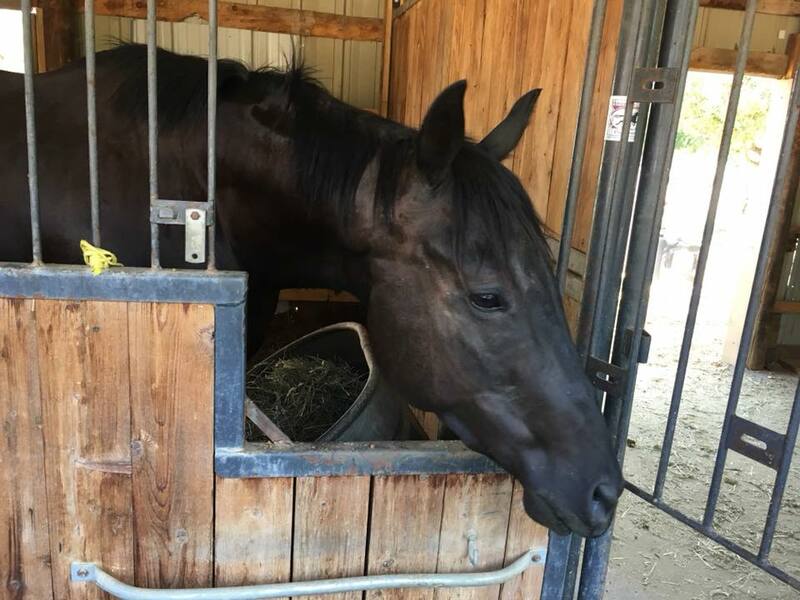 Silver is an Off Track Thoroughbred gelding who spent his first six years as a racehorse, winning several events, and (thankfully) retiring without injury or incident. Despite his history as a racehorse, Silver is a calm and willing horse, but he still manages to find opportunities to let his inner foal out! Prince is a colorful spotted Tennessee Walking Horse and an easygoing guy who is friendly with everyone in the herd. He is gaited, which means he is a smooth ride and loves to go out trail riding with Holden and Silverwood. Spirit is an arab cross in his mid-teens. He can be a little anxious, but calms down nicely when he feels safe and secure. His sensitive nature is one of the things that makes Spirit such a great therapy horse. If you are nervous, he is nervous. If you are calm, he is calm. 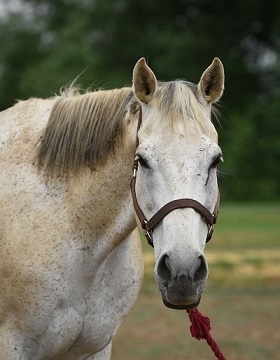 Mischief is an affectionate palomino Quarter Horse mare.She makes a great program horse because she doesn't hesitate to express her opinionShe loves trail riding in the mountains and eating treats! Sadie loves to have her tummy rubbed and is usually the first to greet anyone. In fact she will do just about anything for a tummy rub! She is wonderful at giving confidence to people who are new to horses.